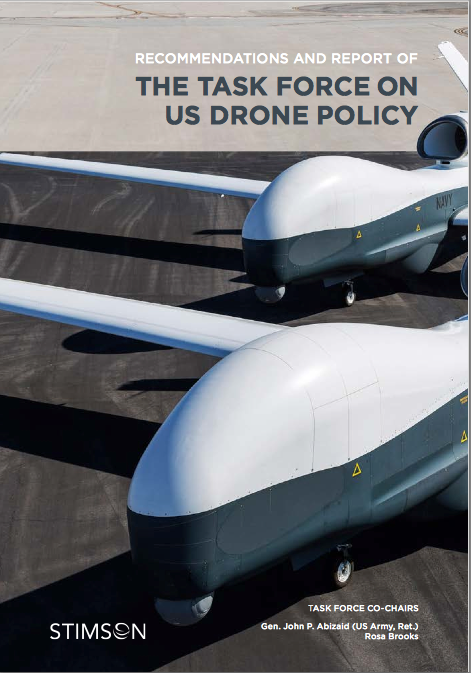 This morning the Stimson Center issued an 81-page Recommendations and Report of the Task Force on US Drone Policy: you can access it online via the New York Times here or download it as a pdf here; Mark Mazetti‘s report for the Times is here. But this focus repeats and compounds the myopia of both conventional wisdom and contemporary debate. The Report summarily (and I think properly) rejects a number of misconceptions about the use of drones, insisting that their capacity to strike from a distance is neither novel nor unique; noting that the vast majority of UAVs in the US arsenal are non-weaponized (‘less than 1 percent of … UAVs carry operational weapons at any given time’ – though their intelligence, surveillance and reconnaissance functions are of course closely tied to the deployment of weapons by conventional strike aircraft or ground forces); and arguing that ‘UAVs do not turn killing into “a video game”‘. These counter-claims are unexceptional and the Task Force presents them with clarity and conviction. 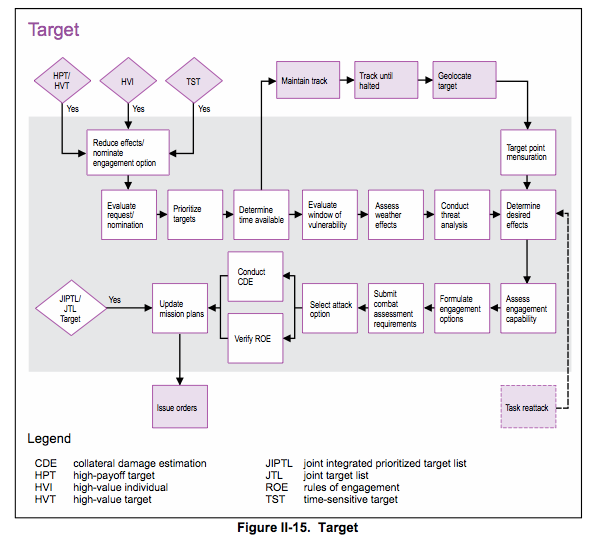 ‘The Department of Defense has a robust procedure for targeting, with outlined authorities and steps, and clear checks on individual targets. The authorization of a UAV strike by the military follows the traditional process in place for all weapons systems (be they MQ-9 Reaper drones or F-16 fighter jets). Regardless of whether particular strikes are acknowledged, the Pentagon has stated that UAV strikes, like strikes from manned aircraft, are subject to the military’s pre-strike target development procedures and post-strike assessment. That last sentence is not unassailable, but in addition I’ve repeatedly argued that it is a mistake to abstract strikes carried out by UAVs from the wider network of military violence in which their ISR capabilities are put to use: hence my ongoing work on the Uruzgan airstrike in Afghanistan, for example, and on ‘militarised vision’ more generally. 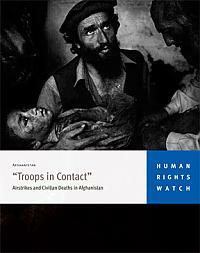 What these studies confirm is that civilian casualties are far more likely when close air support is provided – by UAVs directly or by conventional strike aircraft – to ‘troops in contact’ (even more so when, as in both the Kunduz and Uruzgan airstrikes, it turns out that troops calling in CAS were not ‘in contact’ at all). In short, while it’s perhaps understandable that a Task Force that included both General Abizaid and Lt-Gen David Barno (former head of Combined Forces Command – Afghanistan from 2003-2005) should regard the use of UAVs on ‘traditional’ battlefields as unproblematic, I think it regrettable that their considerable expertise did not result in a more searching evaluation of remote operations in Afghanistan and Iraq. ‘The law of armed conflict and the international legal rules governing the use of force by states arose in an era far removed from our own. When the Geneva Conventions of 1949 were drafted, for instance, it was assumed that most conflicts would be between states with uniformed, hierarchically organized militaries, and that the temporal and geographic boundaries of armed conflicts would be clear. ‘But the rise of transnational non-state terrorist organizations confounds these preexisting legal categories. The armed conflict with al-Qaida and its associated forces can, by definition, have no set geographical boundaries, because al-Qaida and its associates are not territorially based and move easily across state borders. The conflict also has no temporal boundaries — not simply because we do not know the precise date on which the conflict will end, but because there is no obvious means of determining the “end” of an armed conflict with an inchoate, non-hierarchical network. These too are important considerations, but they are surely not confined to counter-terrorism operations in Pakistan, Yemen and Somalia: they also apply with equal force to counterinsurgency operations in Afghanistan and Iraq, and intersect with a wider and much more fraught debate over the very idea of ‘the civilian’. ‘Consider US targeted strikes from the perspective of individuals in — for instance — Pakistan or Yemen. From the perspective of a Yemeni villager or a Pakistani living in the Federally Administered Tribal Areas (FATA), life is far from secure. Death can come from the sky at any moment, and the instability and incoherence of existing legal categories means that there is no way for an individual to be certain whether he is considered targetable by the United States. (Would attending a meeting or community gathering also attended by an al-Qaida member make him targetable? Would renting a building or selling a vehicle to a member of an “associated” force render him targetable? What counts as an “associated force?” Would accepting financial or medical aid from a terrorist group make him a target? Would extending hospitality to a relative who is affiliated with a terrorist group lead the United States to consider him a target?). This is one of the clearest summaries of the case for transparency and accountability I’ve seen, but the same scenario has also played out in Afghanistan (and in relation to the Taliban, which appears only once in the body of the Report) time and time again. There are differences, to be sure, but the US military has also carried out its own targeted killings in Afghanistan, working from its Joint Prioritized Effects List. The Report notes that ‘in practice, the military and CIA generally work together quite closely when planning and engaging in targeted UAV strikes: few strikes are “all military” or “all CIA”’ – which is true in other senses too – and this applies equally in Afghanistan. In sum, then, this is a valuable and important Report – but it would have been far more incisive had its critique of ‘US drone policy’ cast its net wider to provide a more inclusive account of remote operations. The trans-national geographies of what I’ve called ‘the everywhere war’ do not admit of any simple distinction between ‘traditional’ and ‘non-traditional’ battlefields, and trying to impose one on such a tangled field of military and paramilitary violence ultimately confuses rather than clarifies. I realise that this is usually attempted as an exercise in what we might call legal cartography, but I also still think William Boyd‘s Gabriel was right when, in An Ice-Cream War, he complained that maps give the world ‘an order and reasonableness’ it doesn’t possess. And we all also know that maps – like the law – are instruments of power, and that both are intimately entangled with the administration of military violence. 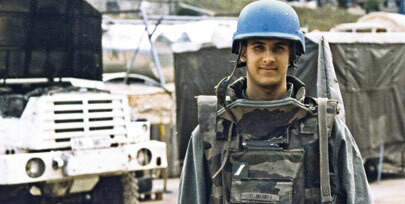 This entry was posted in counterinsurgency, counterterrorism, drones, late modern war, law, Libya, Pakistan, Somalia, USA, Yemen and tagged Close Air Support, drones, Frédéric Mégret, JAGs, legal geography, non-traditional battlefields, Stimson Center, targeting, UAVs by Derek Gregory. Bookmark the permalink.